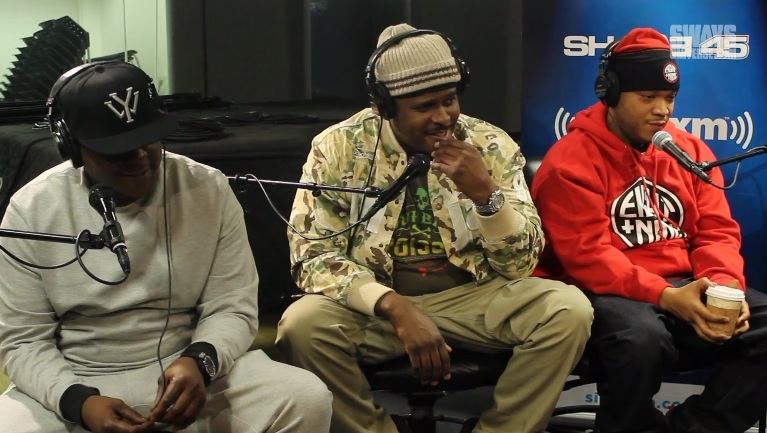 Jadakiss, Sheek Louch and Styles P catch up with Sway Calloway and Heather B on Shade 45’s Sway In The Morning show. The New York emcees sit down for a candid interview and open up about their respective careers, history as a group and reassure fans that new music is on the way along with so much more. Check out The Lox also show off their skills for the camera as they jump into a few songs with on-the-spot performances for listeners tuned in. This entry was posted in In The Studio, Interview, Video and tagged heather b, hip hop, Interview, Jadakiss, new york, rap, Sway Calloway, sway in the morning, the lox. Bookmark the permalink.